This morning, a complete teardown of the Moto 360 was posted by the folks over at iFixIt. 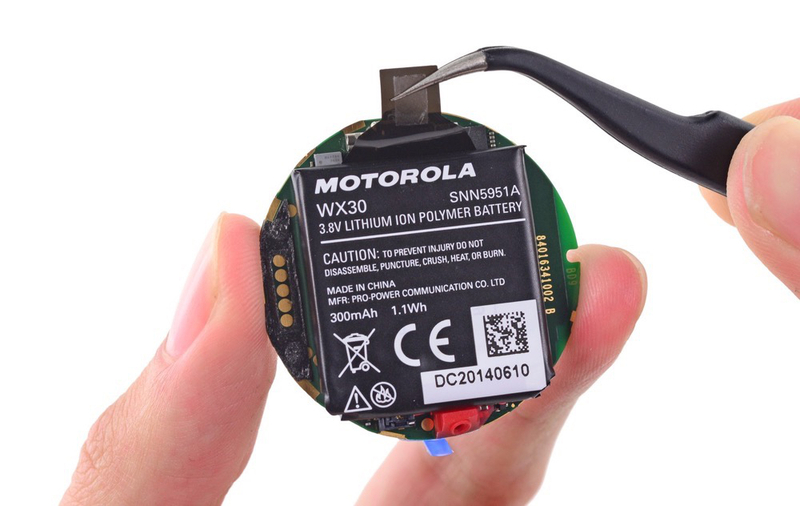 While usually nothing too exciting comes from a hardware teardown, Motorola found themselves in a bit of PR hot water, as it was uncovered that the Moto 360’s battery only shows a capacity of 300mAh, not 320mAh as advertised by the company. What ensued was outcry from consumers on Moto’s social channels, as customers were quite upset by the company’s disinformation about the battery. As most of us know, battery life has been one of the Moto 360’s biggest pain points for most “reviewers” of the device, so the fact that Motorola possibly threw in a smaller battery than the one they advertised had people up in arms. Come to find out, the Internet, as it does on occasion, overreacted to a choice Motorola made with regard to which battery capacity they would display on the device’s power cell during the manufacturing process. Below, Motorola’s comment on the issue can be read below. So, as you can see, Motorola seems to have a perfectly reasonable answer to why only 300mAh is displayed on the Moto 360’s battery. Looking at the picture of the battery itself (this post’s header image), it appears there is plenty of room for the additional metric to be printed, but we just don’t feel like questioning Motorola’s decision when it comes to the manufacturing of hardware. We have gone over the Moto 360’s battery life in detail already, but still have yet to deliver our full review. Be on the lookout for that soon.